A year ago this week I met Sherri from A Quilting Life at the Bryce Canyon retreat. We had been blog buddies for a while. And she took my class making THIS quilt above. I was so flattered to meet her and Dawn and then have them take a class from me - was so fun. 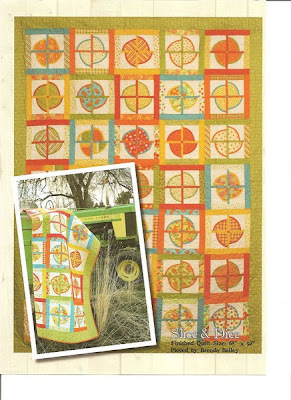 Sherri finished and bound her "All Dressed Up" quilt and put it on her blog. 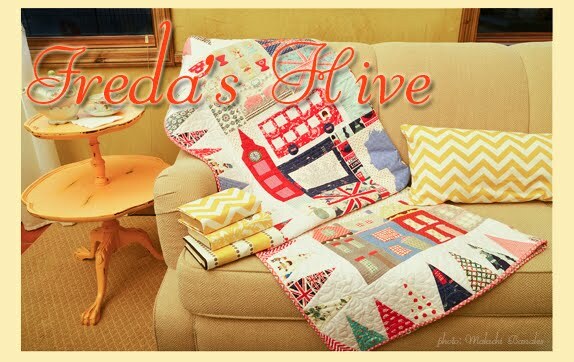 I absolutely love it and I'm gobsmacked just like when I saw Nedra's quilt from my pattern. 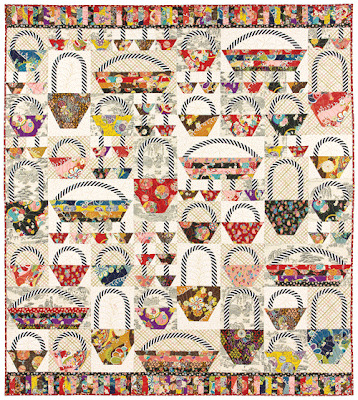 It just is such an amazing thing to see talented women put a quilt together that started in my head! Love it. 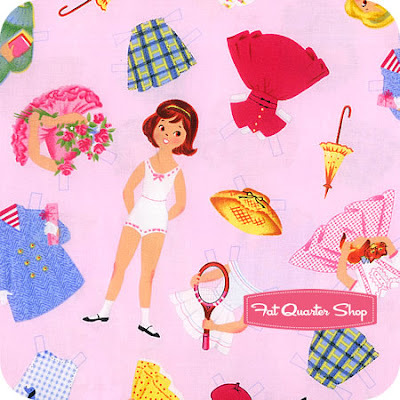 Look at this CUTE new fabric from Fat Quarter Shop. 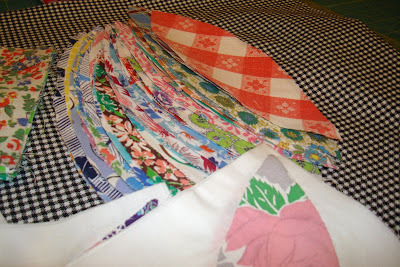 It makes me want to make another "All Dressed Up" quilt! Last November 2009 at our Alpine Quilt Meeting Jina Barney previewed the block of the month sampler quilt we'll be making in 2010. I knew I wanted to participate as soon as I saw the quilt. And I've been determined not to fall behind this time as I tend to do with block of the month. 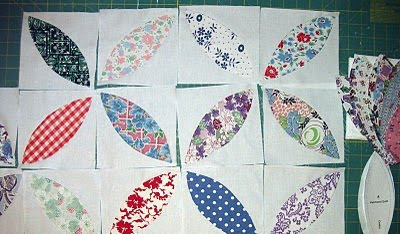 Here is my quilt so far. 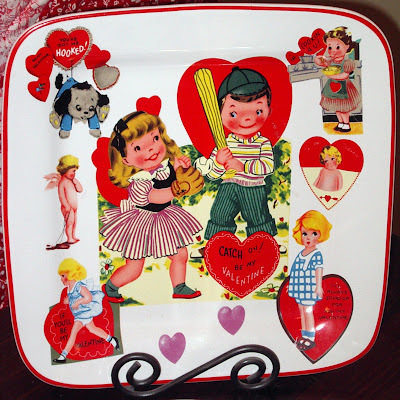 January was the snowflake block and February was the chain of hearts. 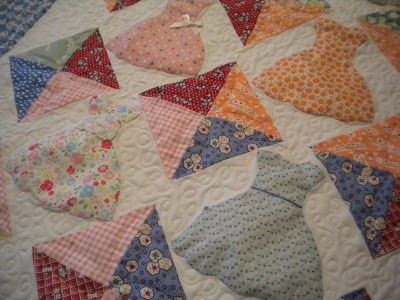 Jina has added little pieced borders and strips here and there to add interest. I think this is going to turn out really cute. You are welcome to quilt along with us. You can find Jina's patterns here. I can't wait to add March's block. Those of you that are regular readers of my blog know we have chickens and bees. 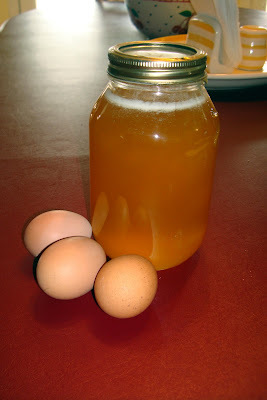 It has been wonderful to have fresh eggs and now we have our first honey. A friend of ours has been helping us learn about the bees and how to take care of them. He says light honey is the best kind and ours is really light and delicious. It is exciting to have honey right from my own back yard. Pretty exciting for a born and raised city girl like me. Last week was Amy's retreat at the Provo Marriott. Amy is the owner of American Quilting in Orem, Utah. I was only able to attend some limited events due to my work schedule and other goings on. I will say fabulous women were there and I wish I could have spent more time with them. Unfortunately I was an awful photographer and forgot to get my camera out to record the fun. Several of my wonderful friends were there and you can check out their blogs because I'm sure they'll have great photos. 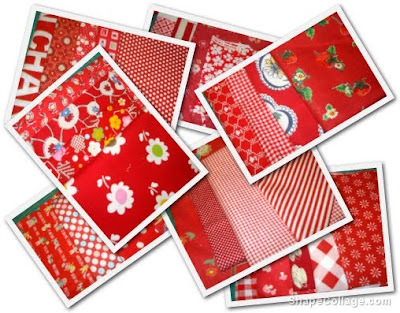 Go see Kim, Lori, Amy S., RaeAnn and of course the American Quilting Blog for more details. This was my gift from Amy at American Quilting. Amy is a wonderful person and talented mom, shop owner, quilter and designer. I was flattered she asked me to be involved in her event. After my trunk show I met some new friends. This is the lovely Lisa. I had to photograph her apron. Isn't it sweet and clever. 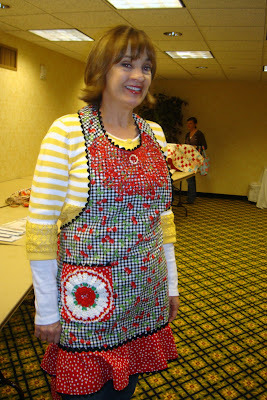 She used vintage crochet pieces to liven up this terrific apron. I took a class with Lori, Kim and Amy (I don't think RaeAnn was there? maybe). 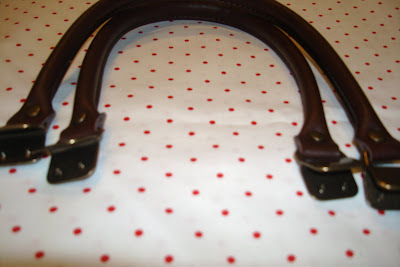 We all wanted to know how to attach the hardware to make little purses. It was puzzling at first but with Lori's help I got the hang of it. Our teacher was named Sherri. I wish I had taken pics of all her purses. Oh well. 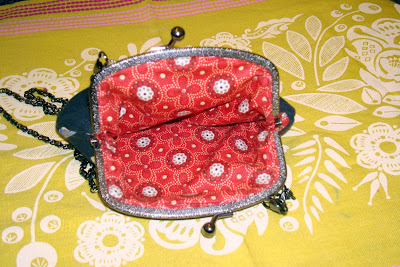 It really wasn't that complicated to make these little purses. I have several hardware sets sitting around here so now I can make bags on my own. My main problem making this purse was using the monofilament thread. I absolutely couldn't control the thread and worse than that, I couldn't see it. Several years ago I had a detached retina and it handicaps my ability to see like I used to be able to see. Anyway I will be making more of these. 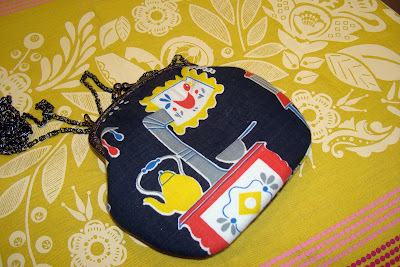 I used some vintage kitchen fabric for this little purse. I love it. 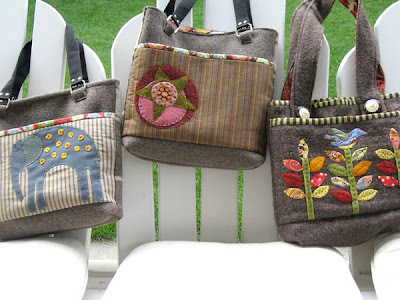 Lori and Kim's purses are cute too, go see them. I've been posting ahead on my blog so I haven't answered questions, returned emails or comments and read blogs. I'm taking classes this week too so I'm kind of out of the loop this week, again. So be patient with me when I get back as I try to catch up later! Have a nice week everyone. 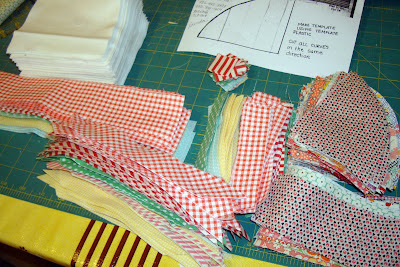 I'm putting fabrics together for my "Going to Market" quilt to take to Bryce Canyon for the retreat next week. As soon as I saw this quilt and knew Ricci was teaching it, I wanted to make this quilt. 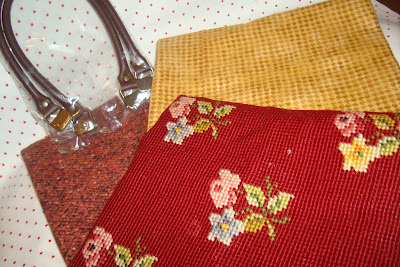 I love the flowers used in the sample pattern but I felt I should use fabric from my stash instead of buying new Kaffes. Even though I wanted to do that. I did get a black stripe for the handles. I had this red dot so I decided to use it for the background. 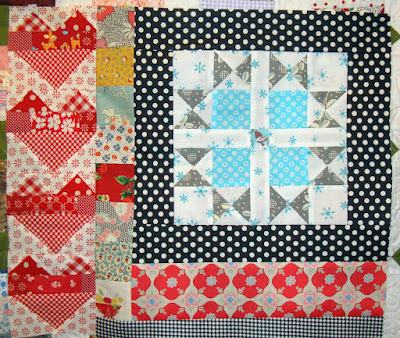 After deciding on the red dot it kind of set the tone for the rest of the quilt. 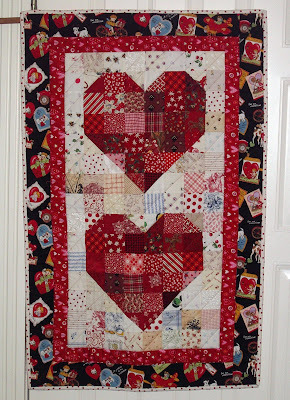 So I thought a black, red and white quilt would really be lovely. After all red is my signature color! 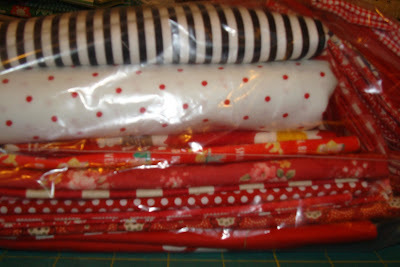 I'm extremely excited to use all these red fabrics in this quilt and can't wait to get started. Now my fabrics are packed and ready to go. It's getting exciting! 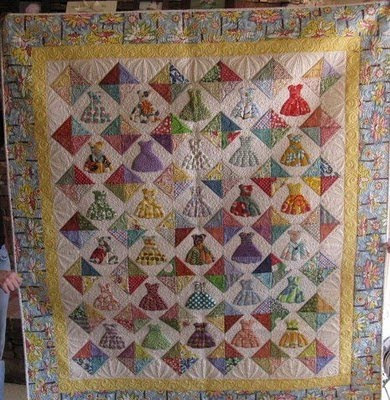 My wonderful friend Nedra of Cactus Needle recently finished her "All Dressed Up" quilt. Nedra is such an excellent craftswoman. Her technique and attention to detail is awesome. You've got to go to her post to see close-up photos of her quilt. 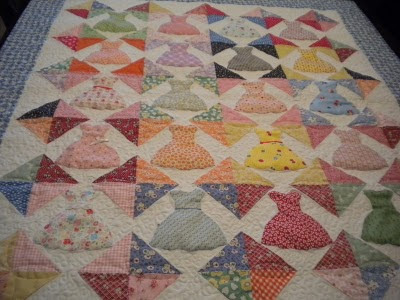 It is such an amazing feeling for me to see my quilt patterns made into projects by other quilters. Bravo, Nedra. I love it. In trying to keep my New Year's resolution about finishing a UFO for every new quilt I thought I'd better pull a started project to take with me next week. Since applique can be done anywhere I thought starting again on my Parcheesi quilt would be a good choice. 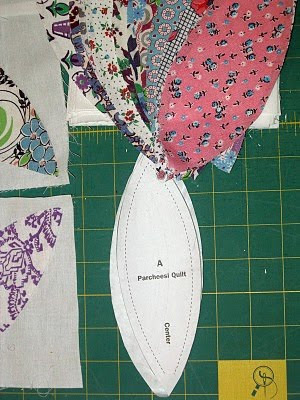 This quilt uses white plain fabric and feedsack prints. Real ones, not repros. I've shown this quilt before on my blog but every time I get it out something seems to get in the way. I'm really hoping that isn't the case this time. 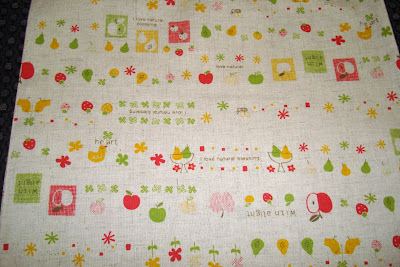 Aren't the vintage feedsack prints so wonderful? They make me happy just looking at them. 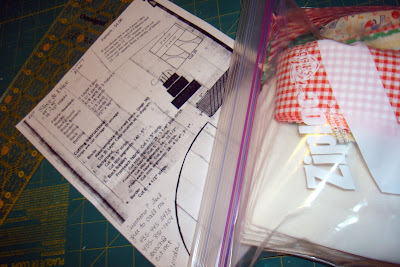 This project gets packed and into my bag. 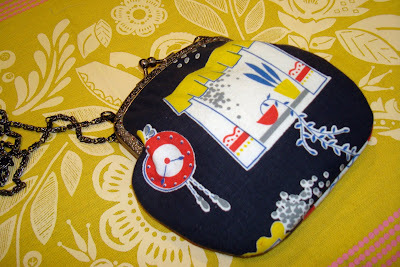 I'll have lots of time to hand stitch during the general meetings, general classes and trunk shows. I hope to show lots of progress soon. PS to Rita - Shadow is a shitzu-poodle mix. I couldn't email you back because you profile has no email. 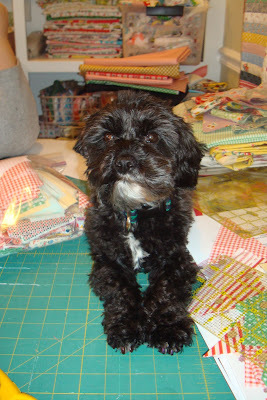 I've spent so much time cutting out and prepping for retreats that I think Shadow is putting his paw down on my overtime at my cutting table. You can see I'm making a right mess while I'm at it. 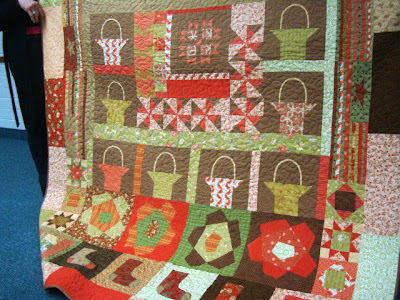 This is just one of the quilts I'm getting ready to make. 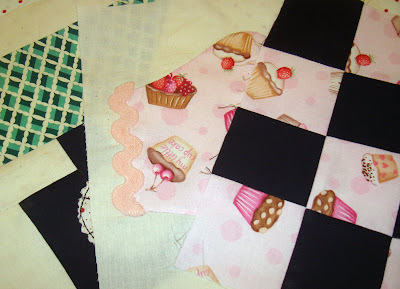 I wanted to learn machine applique and that is what this quilt is all about. Of course my version will be very scrappy. I'm using some reproduction quarter cuts I've had for a bit and have been waiting for just the right project. And I'm adding some stripes, dots and checks into the mix. I'm starting to feel uncertain about the outcome at this stage because there is just so much going on. But then, that is what I'm all about. But pieces! My heavens. There are almost 800 cut pieces in this quilt and the prep has taken so much time! Having a successful time at a retreat is all about the prep I think. Making sure I've got all my components and I'm ready to hit the ground running is essential. 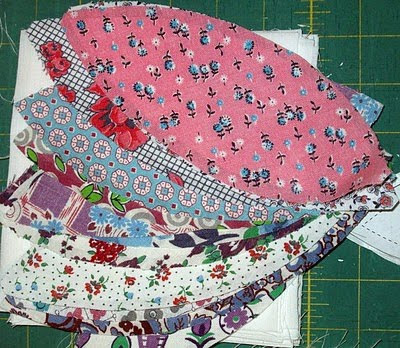 It is time consuming but that is time at the retreat I'll be sewing instead of cutting. I'm really wanting to come home with projects that I can quickly complete and leave no new UFOs. 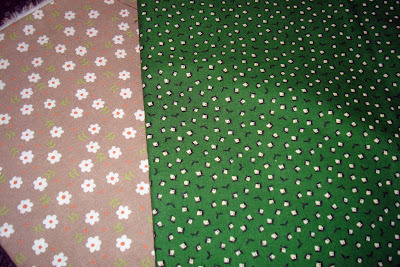 I'll start off with a sweet little fabric story just perfect for fabric Friday. Yesterday when I got home from work it was late and dark. I reached in my mailbox and felt something kind of soft and fluffy inside an envelope. When I got into the house I looked at the little pile of mail and there was an envelope with a lovely surprise inside. On the outside of the envelope it said "From the Fabric Fairy". Inside was this beautiful fat quarter with the most whimsical birdie print. I love it! 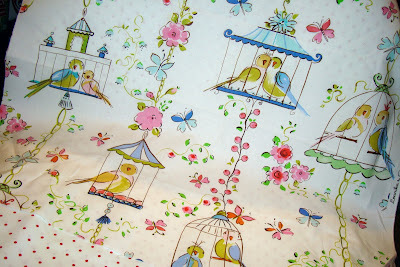 The character of the birds and the sweet colors and design of the bird cages captivated me. Instantly I knew just what I wanted to do with the fabric. But when!??? The fabric is just a delight. Thank you Fabric Fairy, whoever you are! I'm pretty excited to know that the Fabric Fairy visited my house today. I'm too old for the Tooth Fairy (well, hopefully I don't lose any more teeth!) 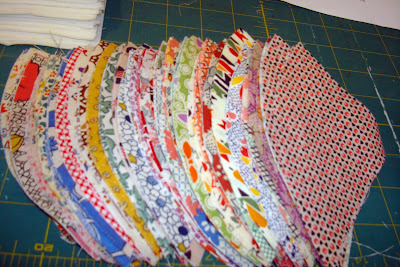 so I think the Fabric Fairy is just what a quilting girl dreams of. Here is an up close showing the texture of the wool and the lovely lining/accent fabric. 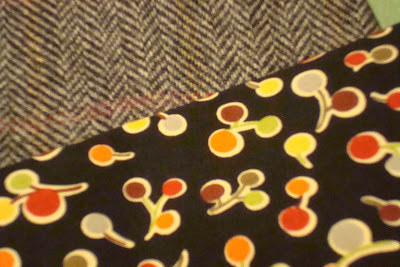 I know the colors are not very spring-like but they are my favorite colors and I love black tweed. 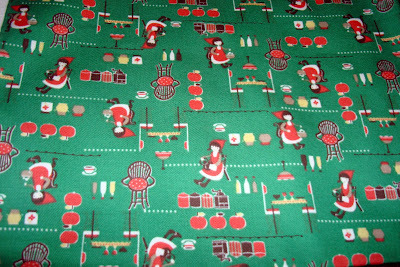 I also have this needlepoint fabric that I've been wanting to use. I think it works well with these 2 faux wool/thick flannels. Originally I was going to try to use these materials since I happened to already have them but they really won't work. But they would really make a cute bag, no? These handles are my favorites. No sewing. They come ready to nail into a bag when the bag is completed. Hammer not included. In 2 weeks I'll be in Bryce for a retreat. In 1 week I'll be in Provo at Amy's retreat. That's a lot of retreat! I have a lot to do before with classes for prepping and little things at home and work to complete before classes. Lori Holt will be at the Provo retreat with me. She emailed me today and asked me if I'm going as crazy as she is. I answered, "Yes!". Lori is so fun. We're taking a a Thursday night class together. Can't wait. In my "spare" time I'm working on another new project. Here is a sneak peak. It has been really fun developing this idea. I'm headed in a direction and I just hope it is the right one. This quilt will be for an event occurring in late spring. Wish me luck! Value wins over beauty/trend. I looked at several stores for my replacement washer/dryer. 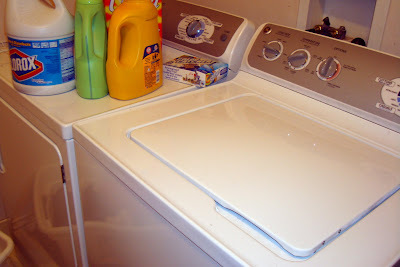 I did an extensive search and read quite a bit about pros and cons of washers and dryers. I am grateful for the input and comments regarding my choices that I received here on my blog. In the end because so many still use the washer and dryer at my house I thought it would be best to go with traditional top load. We still have 7 1/2 people that live at home right now. So lots of laundry cycles through. 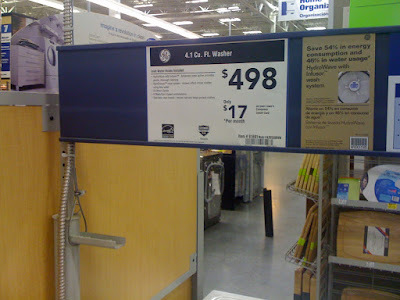 And even though I chose value (at Lowe's)... I still wanted the "new technology" with no big agitator that takes up the whole middle of the washer and I wanted the rack that sits in the dryer to steam clothes, if needed. I really liked the slick Whirlpool Cabrio machines but the price was really incredible and I don't need an LCD display or touch technology. In the end I chose the GE high efficiency washer and dryer. They were delivered Saturday so we haven't had a lot of time to test drive them but so far so good. 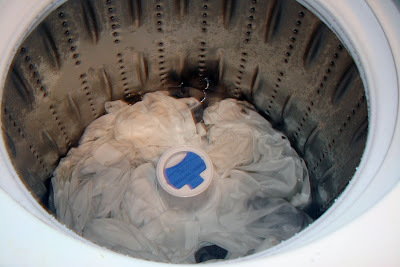 The washer is quiet and the gas dryer seems to dry quickly. I do really like not having the big agitator. Now we'll see how value works out and if I also get dependability! After all that is what we really want. I want to get some good years out of these 2. 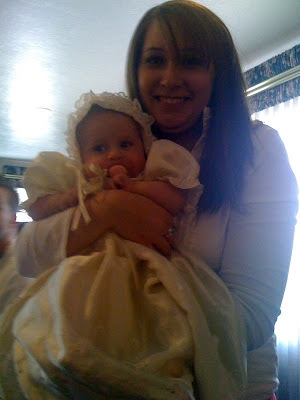 Here is my daughter Whitney with her daughter, baby Allison. Whitney is such a great mom. I'm very proud of her. Obviously she got tired of Nanny after a while. Can't blame her. It was a big day. 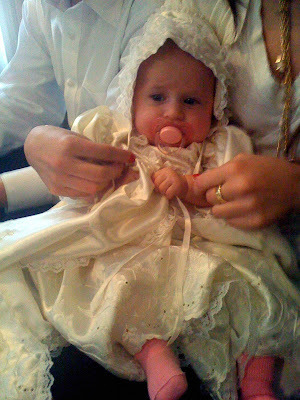 I'm sure she was ready to change her dress and snuggle in her little bed. Me too. Being a grandmother is very rewarding. Allison is a blessing. 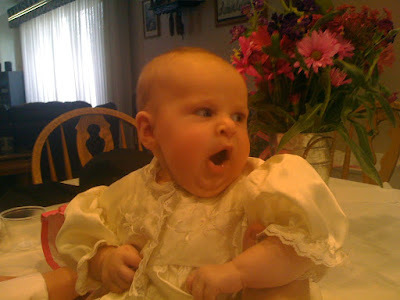 But I must say I don't miss getting up at night for feedings. What everyone says about loving grandchildren and then giving them back to their mom and dad is so true. 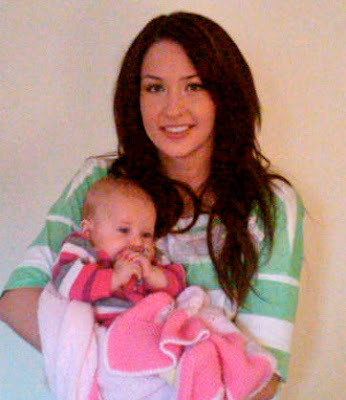 This pic is of my daughter Chelsey holding Allison (her niece). Happy Birthday Chelsey. My daughter Whitney (Allison's mom) is working today. So Chelsey is spending her 22nd birthday babysitting Allison. Sweet, huh. Now for a few fabrics hanging around my cutting table. 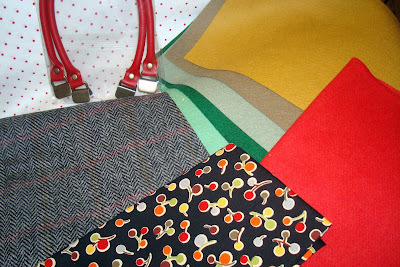 I'm trying to pull fabrics to cut for taking classes at my Bryce retreat this month. I'm not sure I'm using any of these but there are some I've pulled today. This is a deep red. I love how they look together. I'll be using these in Bryce I think. 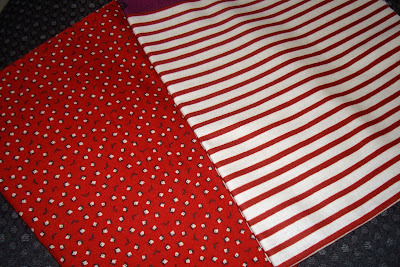 Novelty fabric with a bit of linen in it. 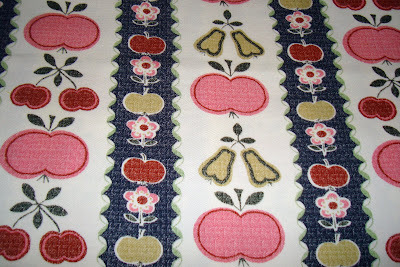 This may be made into a bag or fussy cut and placed into a quilt here and there. But maybe for Bryce, not sure. 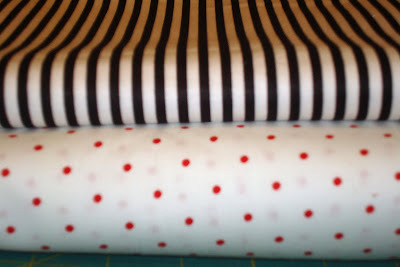 This is a thicker cotton fabric but still would work in a quilt or for a basket in my Bryce class. The green is the same as the red print above. The tan is a good neutral. I'll use them somewhere. Another novelty print. Perfect for fussy cutting. The green matches the green print above. Have a great weekend. I'll be super busy Saturday as our new washer and dryer are finally being delivered. 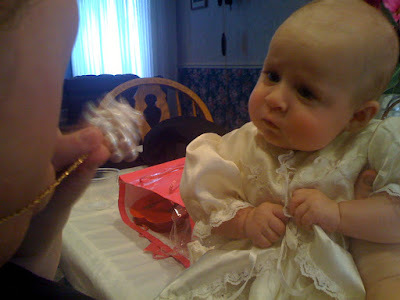 Sunday is Allison's blessing with a little extended family/friends dinner afterwards at my daughter's MIL home. It will be fun. Photos to come of both big events. Pat was suggesting/hosting a random picture post on her blog last week. And since I'm so busy with several projects I thought I would do as she suggested and go through my pictures to post some random Red pictures from my photo library that would fit for February. I love this plate. Love it. I got it several years ago at Target. I picked it up as soon as I saw it and put it in my cart. I am so glad I did because I went back a little later to get another one for a gift and they were gone! That happens with cute stuff. 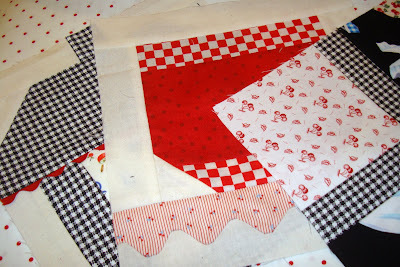 This is a free tutorial on my side bar for a valentine flag/wall hanging posted a couple years ago. I still love it. Some of my newer readers may have not seen this before. 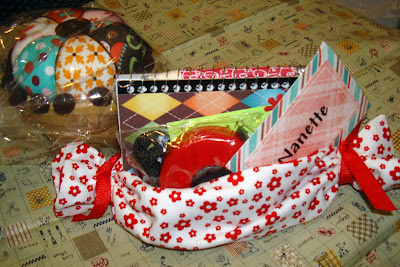 It is fun to make. 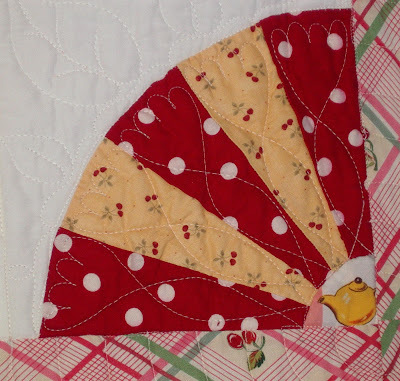 A red fan from a youth size quilt I made several years ago that I am holding on to. I said I'd give this quilt to my first granddaughter. But I am quite attached to it. I will either have to make myself a new one and give this to Allison when she's a bit older or make a clone for Allison. 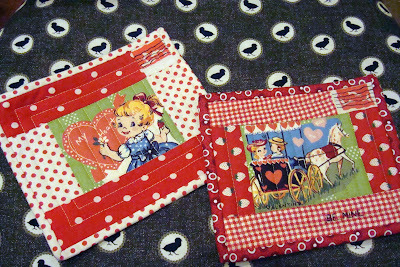 Fun quilted Valentine post cards I made last year and still have a few left over to send this year. Gosh they were so fun to make. 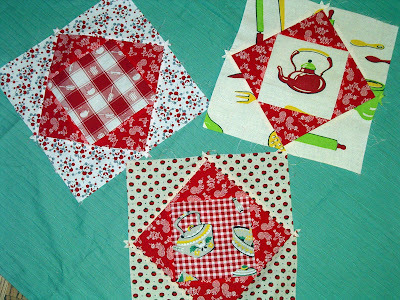 Random red blocks left over and too cute to part with. I love square in a square. All fun stuff. Excuse my need to post old pictures. But Pat had a good idea for blog posts when I'm too busy to show something new! Repeats work sometimes.